MENS DRESS & SPORT SHIRTS 4 FOR $199. Offer is valid on select items for a limited time in U.S. Brooks Brothers Retail stores, online and by phone; not valid in Factory stores. Excludes international shipments to certain countries; see brooksbrothers.com/borderfree for a list of excluded countries. May not be combined with any other discount or offer. Discount may not be applied toward taxes, shipping and handling, monogramming or alterations. Not valid on previous purchases. Up to 60% off Clearance and Free Shipping on any order. 25% off Men&apos;s Outerwear and Accessories. Dress and Sport Shirts 3 for $159. Free Shipping on Orders of $250+. 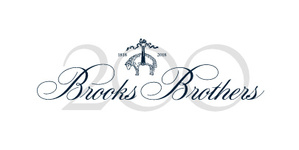 Since its founding in 1818, Brooks Brothers has outfitted generations of families, corporate men and women, political leaders, Hollywood legends, sports greats and military heroes with their unique combination of singular quality, superior service and product innovation. They offer casual and business collections for men, women and, in select stores, boys. Their style is appropriate but flexible. Completely put together yet entirely effortless. Distinctively timeless.